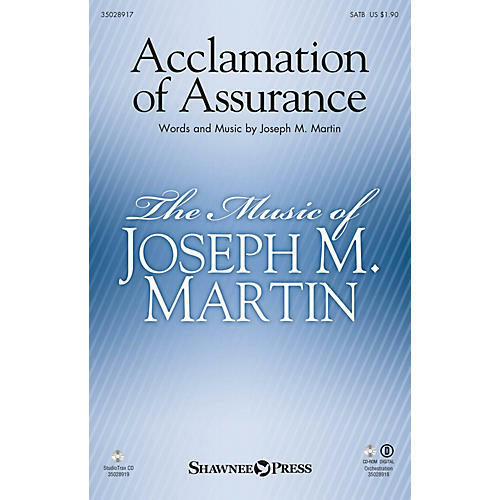 Uses: General, Church Anniversary, Reformation Scripture: Isaiah 43:2; Deuteronomy 31:8 The confident acknowledgement of God's promise of restoration brings power and conviction to this original anthem. This inspiring piece was written as a special commission for a congregation that had lost their church building to a fire. Solid choral writing supports this promise: You will be my people, I will be your Rock! You will be my church forever. I will be your God! Available separately: SATB, Orchestration (Score & Parts for Flt 1&2, Oboe, Clarinet 1&2, Bassoon, Horn 1&2, Tpt 1, Tpt 2&3, Tbone 1&2, Bass Tbone/Tuba, Timp, Perc 1&2, bass, drums, Harp, Piano, Vln 1&2, Viola, Cello, Double Bass), StudioTrax CD. Duration: ca. 4:14.